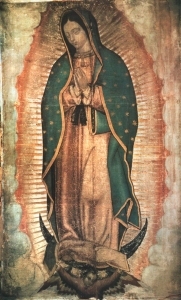 The second annual summer tribute to Our Lady of Guadalupe will be held from Friday, June 10 to Sunday, June 12, at the Shrine of Our Lady of Guadalupe, 1170 N. River Rd. in Des Plaines. The announcement was made by Fr. Esequiel Sanchez, Rector of the Shrine, who also stated that the mid-year tribute will include a special Mass on Sunday at 1 p.m. celebrated by Cardinal Alberto Suárez Inda from the Archdiocese of Morelia, Mexico. The three day celebration, inspired by the thousands of pilgrims who visit the Shrine every year during Our Lady of Guadalupe’s feast day on December 12, is designed to encourage many more visitors during the summer months. The event begins on Friday, June 10, with an opening Mass at 7 p.m., celebrated by Fr. Guadalupe Santos, a native of Jalisco, Mexico. For general admission tickets or for the complete list of weekend activities, visit santuarioguadalupe.org.